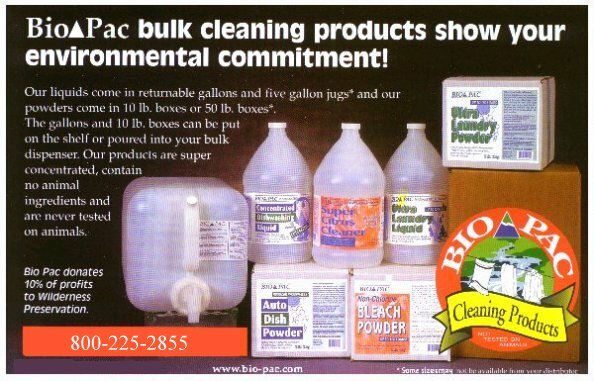 Bio Pac bulk cleaning products are large boxes of concentrated cleaning powder and liquid that are 100% biocompatable. Large containers reduce the need for packaging. Whether washing dishes or clothing, Bio Pac cleans without chlorine bleach, synthetic fragrances or animal ingredients. Bio Pac’s bulk cleaning products can be found in numerous coops and natural food stores around the county.